In conjunction with our Nation 50th Birthday this week, I’m going to introduce our very own Singapore Skincare Brand SKIN INC. SKIN INC has made us proud by expanding their products globally and now Skin Inc products are conveniently available at 66 Sephora Stores in United States. To date, SKIN INC has won 71 awards across multiple international titles, and is now present in 68 cities in Asia, Europe, and the United States with 10 concept stores, 110 distribution outlets (including Sephora), and our appointed online retail channels. It is also the official skincare and spa partner ME by Meliá –a brand of experience-based personality hotels in select urban and resort destinations the world over. 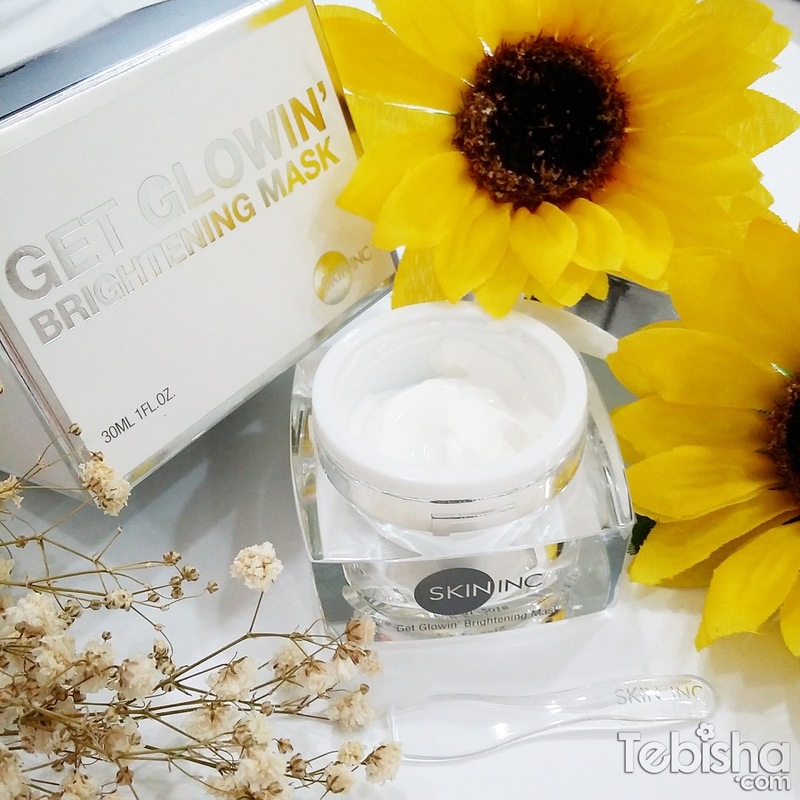 I’ve attended the launch of their Get Glowin’ Brightening Mask at Sephora ION last month. The new and improved formula Get Glowin’ Brightening Mask was enhanced with nano technology for a superior creamy texture and turbo-boosted skincare benefits to give deep hydration, refined pores and immediate brightening. Can you see the difference? 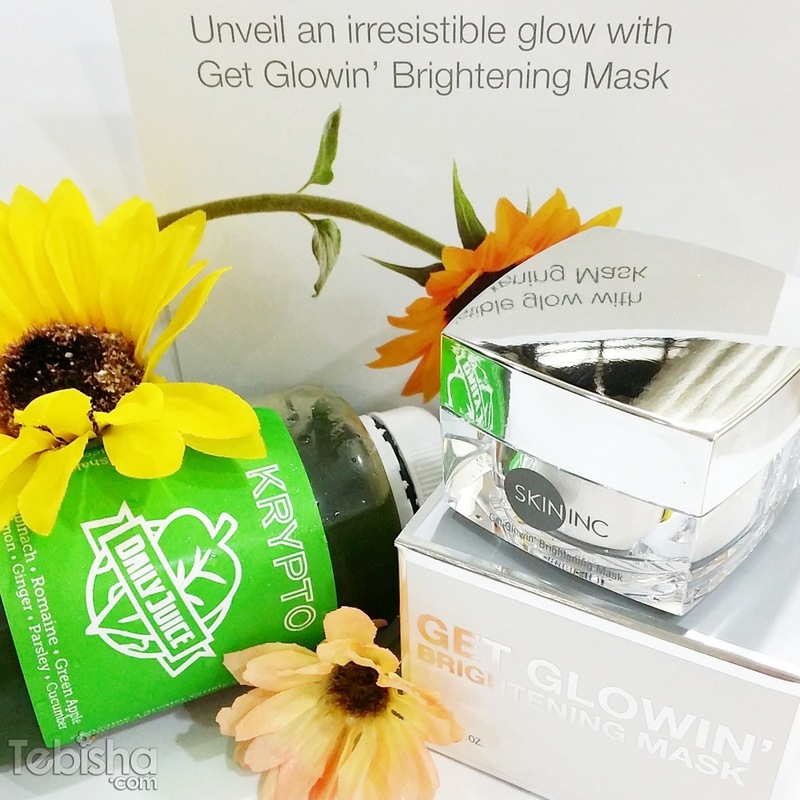 I tried the Get Glowin’ Brightening Mask on my face too, read on to see the difference and reviews. This advanced formula is infused with nanonized water and nanonized-plant extract Scutellaria Baicalensis extract, the hero ingredient of this best-selling mask. Advanced Nano technology reduces molecule size to less than 100nm, enabling optimal absorption of these key ingredients for enhanced brightening, more refined pores, hydration and younger looking skin. The nanonized Scutellaria Baicalensis extract molecules are surrounded by a lecithin layer that is easily absorbed by skin cells allowing the mask to better penetrate into the skin. Nanonized water boosts the hydration levels of the Mask. While many brightening products can be drying to the skin, even those with sensitive skin can enjoy the brightening benefits of this Mask due to the hydrating effect of the water molecules. Directions: After cleansing your face, apply a thick layer evenly on dry skin. Rinse off with lukewarm water after 10 minutes. Instant brightening and radiance on my skin after washing off, reduce redness on my cheeks due to skin sensitiveness. My skin texture became smoother and the appearance of pores also being minimised. I will use scrub (twice a week) to remove my dead skin before using the mask, I feel it will works more effective on cleaner skin. Get Glowin’ Brightening Mask is safe for all skin types, my skin still looks dewy and feels moisturised and supple the next morning. For intensive SOS: Use daily for 14 days to achieve noticeable brightening and the lightening of unsightly age spots, scars and sun spots. for 100ml (incl. 7% GST) at all Skin Inc concept stores and online at iloveskininc.com (Free delivery within Singapore). Beside application of skincare products to gain brighter and glow skin, having a healthy diet and detoxing also the aid of helping us to have beautiful skin. Daily Juice was at the launch too, they brought us fresh cold pressed juices. Jolin from Daily Juice gave us a short introduction of Daily Juice. I’ve gotten the Krypto Juice in my press kit. Although Krypto contains Spinach and Parsley it doesn’t give a very strong and awful veggie taste. Check out http://www.dailyjuice.sg/ for more variety of juices and their detox/juice cleanse programmes. *Their juice cleanse programmes are 1 of the most affordable packages! Thanks Skin Inc & Daily Juice for having us at the event and the press kit.